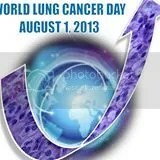 Today I celebrate World Lung Cancer Day. Lung cancer claims more lives than any other cancer. According to the American Cancer Society, each year, more people die of lung cancer than of colon, breast, and prostate cancers combined. Yet the survival rate and funding dollars per death are lower for lung cancer than for those cancers (and almost all other cancers). The CDC lists lung cancer (not breast cancer) as the leading cause of cancer death among women. Lung cancer deserves more research funding. Anyone who has lungs can get lung cancer. About 60% of newly-diagnosed lung cancer patients are non-smokers or never smokers, and lung cancer in never-smokers ranks among the top 10 fatal cancers in the USA. And, regardless of one’s habits or behaviors, NO ONE deserves to die of lung cancer. Already more metastatic lung cancer patients like me are living longer thanks to targeted therapies, maintenance chemo, and changes in standard of care. 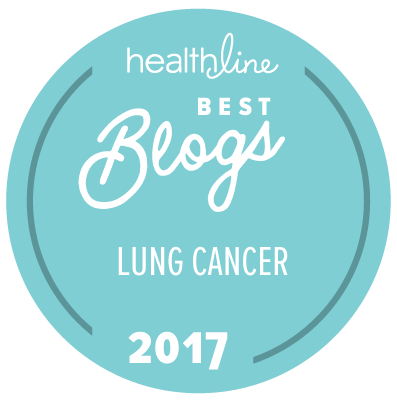 Lung cancer statistics will continue to improve as more patients start to benefit from upcoming early detection methods (like CT screenings and biomarker testing), improvements in treatment options, and an increased national focus on lung cancer research. Here’s hoping for more successful treatment options for all lung cancer patients, and a cure in my lifetime — which means SOON. This entry was posted in Lung Cancer, Research, The Bright Side and tagged Hope, Lung cancer, Research. Bookmark the permalink. Yes, soon! You are helping to make it happen; you are an integral part, Janet. Bravo for raising awareness and for your devotion to lung cancer research, Jan. You are an inspiration.